Hi everyone! 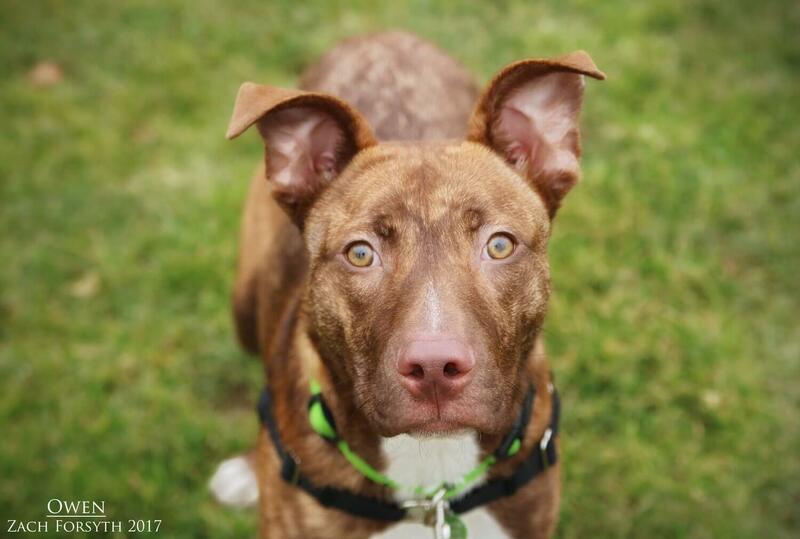 My name is Owen and I am a cute 6 month old Chesapeake/Pit mix weighing it at 38lbs. Not only do I have a handsome face like my actor counterpart (Owen Wilson), but I have a wonderful humor-filled personality ready to make you smile at any minute with my puppy charm! I’m very smart and already know a few of the basics like “sit”. PUPPY CLASSES ARE MANDATORY FOR MY ADOPTION! I am an active guy, ready to jump and play and go on some hikes, exploring the Gorge! I absolutely love playing with my puppy pals, and also some toy and cuddle time with my human friends over the age of 10. Due to certain breed rental restrictions, my future adopters need to own their home. Ready to show me the world? Fill out an application, so we can meet! I come to you neutered, vaccinated, and micro-chipped with an adoption fee of $300.